WISH LESS gallery is pleased to announce AKANE ISHIGA’s solo exhibition ‘Tiny Zoo -Remix-’. 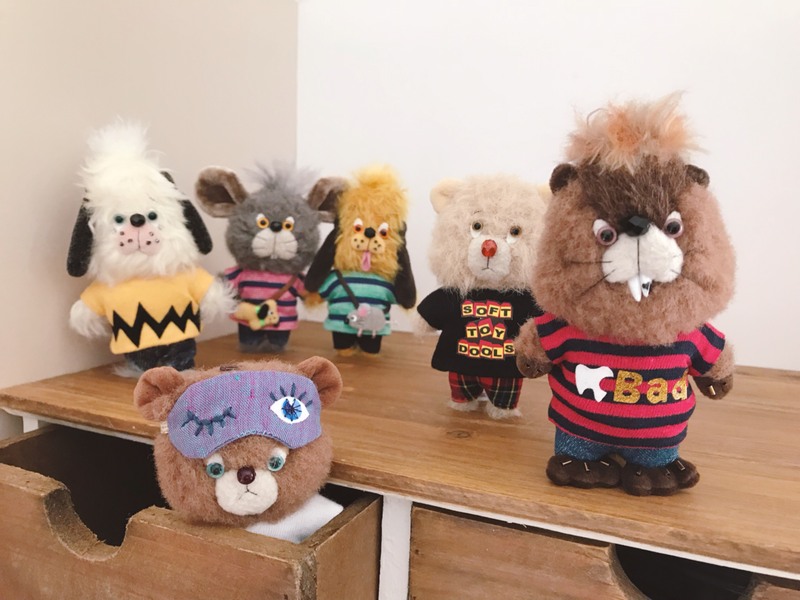 AKANE ISHIGA’s adorable and fashionable stuffed toy charms are 100% handmade by the artist including their clothing, small bags and accessories. They regularly sell out as soon as they appear on her online store. In this exhibition, she will be showing a selection of new pieces with the theme of music and fashion addiction. I have produced these unique stuffed toy charms using high quality organic materials with the theme of a portable Tiny Zoo. They are about 10cm high and are free-standing, wearing fancy clothes with accessories. Some might remind you of certain famous characters. Each one is very unique and has a passion for music and fashion. Please come and get a closer look at my selection of toys with their human-like personalities and tastes living in a Tiny Zoo. AKANE ISHIGA creates three dimensional ‘free standing clothed toys’ from her own drawings. Solo show ‘Tiny Zoo’ (2014) and ‘Tiny Zoo -Annex-’ (2017) at WISH LESS. Her work has been represented by chovon SHOP and at other events in Japan. ※ We will be open from 12-6pm on the last day.